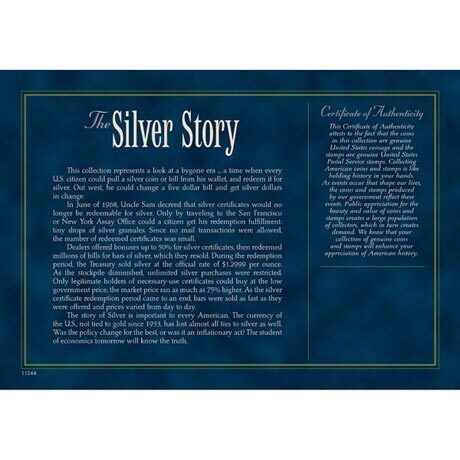 The story of Silver is important to every American. The currency of the US has lost almost all ties to silver. 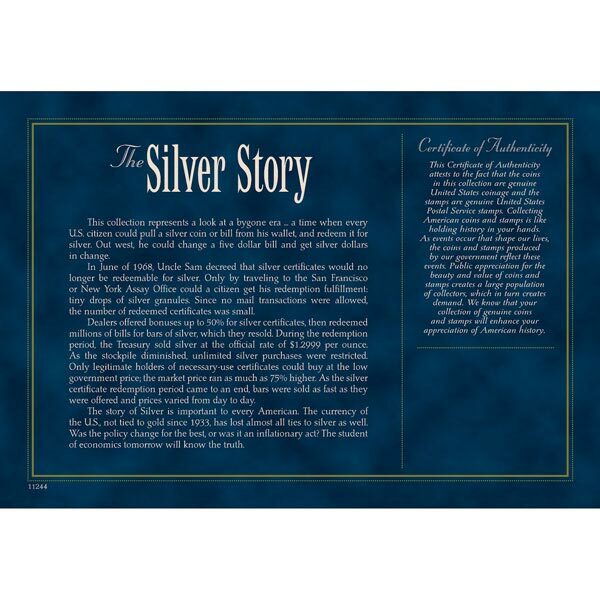 This collection represents a look at a bygone era containing solid .999 silver flakes and a genuine US Silver Certificate. A Certificate of Authenticity is included. Allow 2-3 weeks for delivery. No rush delivery or gift box. Item can only be shipped within the Continental US.